The movie has received overwhelming response across the globe, with audience giving thumbs up to the grand portrayal of Hindu mythology and the interesting story spun around it. Prabhas-starrer Baahubali 2: The Conclusion may not hit the Rs 2,000-crore mark at the box office anytime soon with the film's earning slowing down. But there is little doubt that SS Rajamouli's deft storytelling and visual effects on the screen has succeeded in capturing the imagination of Indian masses like never before. The movie has received overwhelming response across the globe, with audience giving thumbs up to the grand portrayal of Hindu mythology and the interesting story spun around it. The storyline might not be real, but Rajamouli and his team ensured that every single scene thrilled the audience. Baahubali 2 is in a race with Aamir Khan's Dangal to reach Rs 2,000 crore at the box office. But with Baahubali 2 collections slowing, and Dangal getting an additional month of screening in China, it is a race SS rajamouli's film will probably lose. But just give it a thought, Baahubali 2 earned Rs 860 crore within seven days of its release worldwide, while Dangal earned around Rs 511 crore before it released in China. Here Baahubali seems to be a clear winner! Moreover, it can even be argued brand Baahubali (Baahubali 2: The Conclusion and Baahubali: The Beginning) has already crossed Rs 2,000 crore collection mark with part one earning around Rs 550 crore and Baahubali 2 nearing the Rs 1700-crore mark. 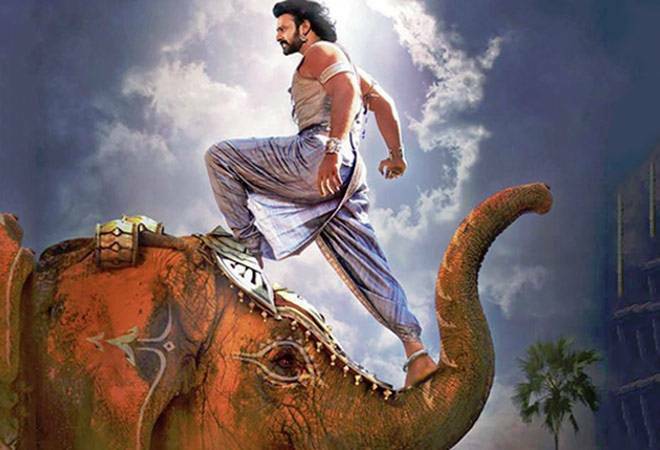 The movie, a sequel to Baahubali: The Beginning initially was seen as a hit by many as they believed audience thronged theatres to find the answer to the mystery: Why Katappa killed Baahubali. But later, critics admitted that it was the special effects, unprecedented in Indian cinema, which was drawing the audience. The movie shot at a budget of Rs 250 crore was nothing less than some of the Hollywood epics. Also read: Dangal may be ahead of Baahubali 2 in worldwide collections, but for how long? Add to it, the tight storyline and the movie compels one to admit that it's one of the greatest films ever made in India. The breathtaking experience of Baahubali 2, thanks to SS Rajamouli, will remain in viewers' memory for a long period till someone else succeeds to stun them with another gem of a masterpiece.